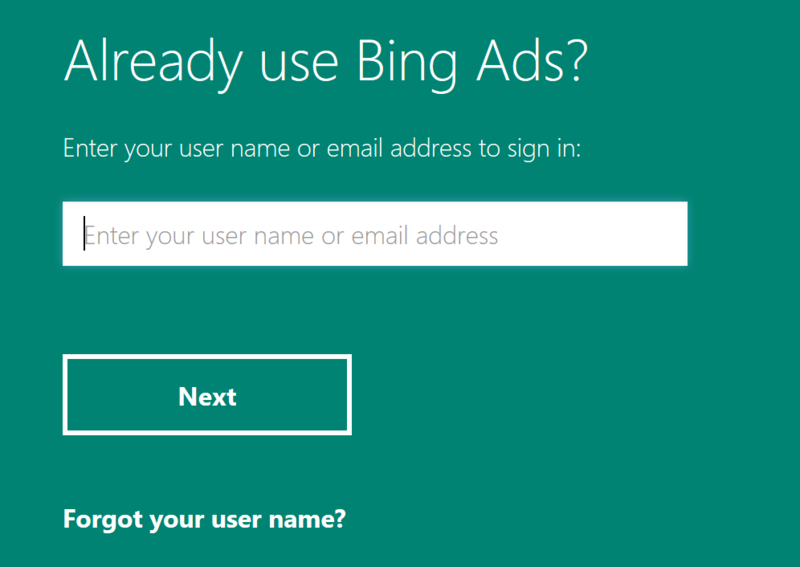 Find out how to sign in using your email address (preferred method) or your Bing Ads user name. 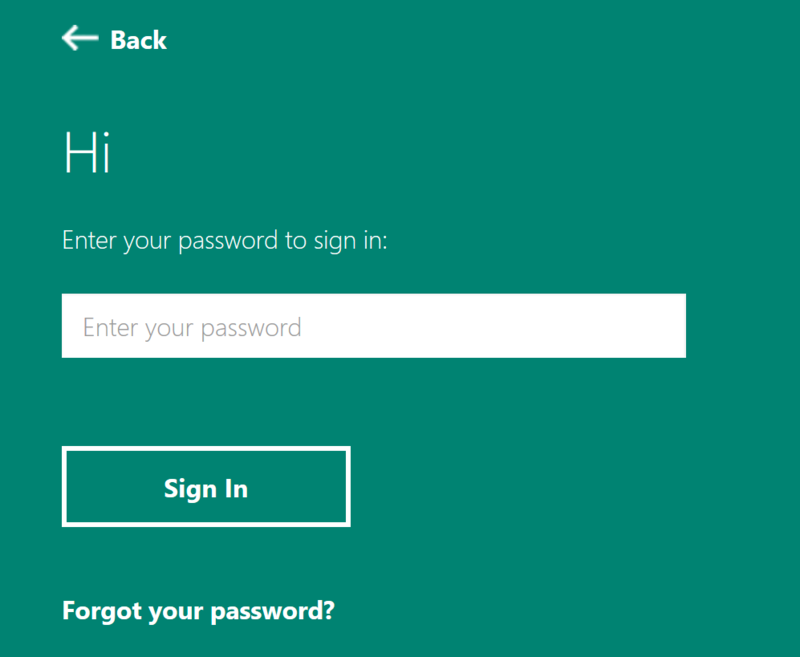 The way you sign in depends on when you signed up for your Bing Ads account and whether you have transitioned to signing in with an email address. Learn more about the transition. Go to the Bing Ads sign-in page. Enter your email address in the box, and click Next. You will be prompted to enter your password in a new page. Because your email address can be used to sign in to other Microsoft products, we do not recommend sharing your email address with others so that they can sign in to Bing Ads. For more information on how multiple users can share access, see How do I give someone access to my Bing Ads account? If you are already signed in to another Microsoft product with the email address you use to sign in to Bing Ads, you will go directly to your Bing Ads account without signing in again. If you sign out of Bing Ads, you will be signed out of any other Microsoft product that you are currently signed in to. You cannot use the same email address to sign in to both Bing Ads and pubCenter. Enter your Bing Ads user name in the box, and then click Next. Enter your Bing Ads password in the box, and then click Sign In.